Every second Saturday the Pt. 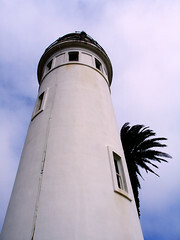 Vicente Lighthouse is open to the public. Not only is it free of charge, it’s like stepping back in time. 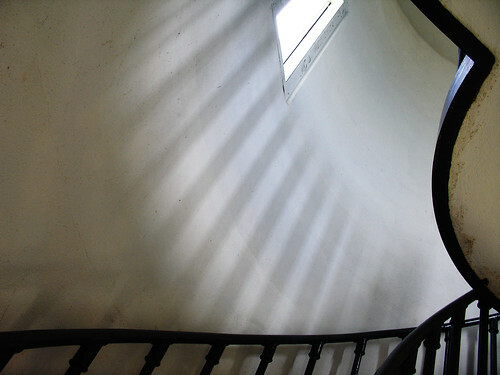 It’s just three flights of stairs and a little ladder climb up to the top. The light room itself is pretty hot … seriously. The rotating 1000 watt lamp plus the widows is like a heater in a greehouse. 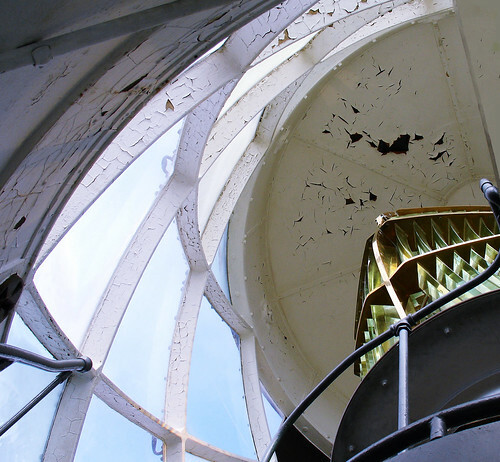 In March the lighthouse will be open on Sunday, March 3rd for the Whale of a Day sponsored by the Pt. Vicente Interpretive Center. Anyway, as you can guess, I took lots of photos. Great photos… I esp. love the detail shot. 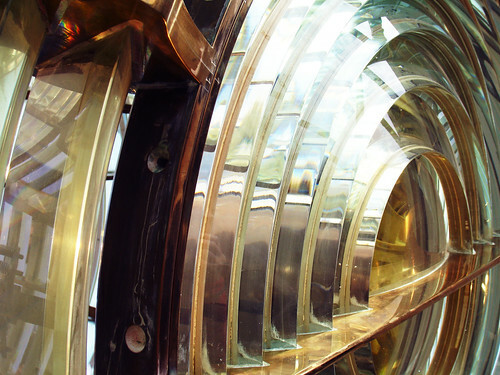 Lighthouses are an anchronism – most people don’t think of them much, and when they do it’s usually because there was one in a movie or a hurricane is approaching that famous striped pole at Cape Hatteras. I grew up in New York and I clearly remember as a little kid being fascinated by the Fire Island and Montauk Point Lights. On the CA coast we have so few left – Pt. Vicente and Pt. Piedras Blancas are the ones I think of off the top of my head, and that one on top of that rock just north of Big Sur (no – not Morro Rock, that’s south of Big Sur… LOL). Cool stories from the southern extremities of LA! A lovely report. I have been up a little one at Montrose, Angus, Scotland, and one at Portland Bill, Dorset, England. 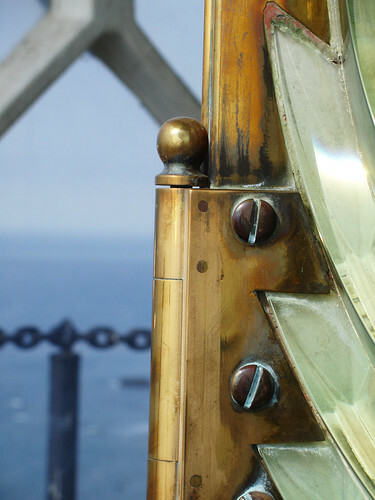 A thought suddenly struck me: if old-style bull had tolerated the formation of a handsome brown oxydation layer on the brass frame, the ugly coppery-white polish encrustations would not marr the superb engineering. I never thought of this useful stick to whack old-fashioned authoritarianism before. It would have BEEN a handsome patina would it not? It would not have been all horrible would it? Oh well, I think I am right. We ought to try it. That polish residue surely does not look nice anyway. So what heats the light room, the light bulb or the hot widows? Great pics! Great angles! You certainly know how to take ’em and crop ’em. I grew up near Pt. Vicente and would always hear the foghorn. 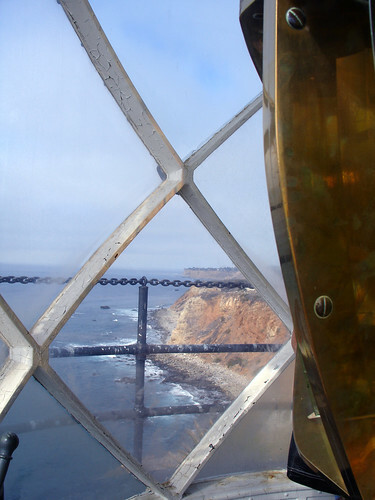 Was inside the lighthouse, once, many years ago. Can’t remember too much about it, so your pictures are like new revelations. Next PostNext Shepard Fairey’s DJ’ing at my birthday party!